Sure-Flo self-cleaning pump suction strainers are designed to clean dirty pond or stream water before entering a water pump. 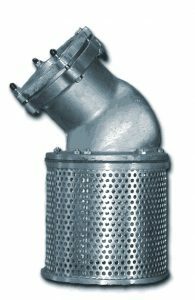 These strainers boost pump performance and operating efficiency. 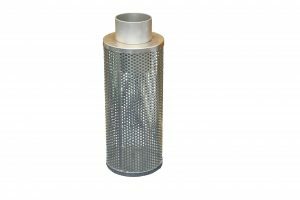 With no strainer to clean they will quickly pay the extra cost of these strainers. Strainer has 3/32” diameter holes. 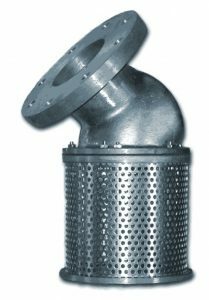 These foot valve strainers clamp to the end of aluminum suction pipes or to a flange. 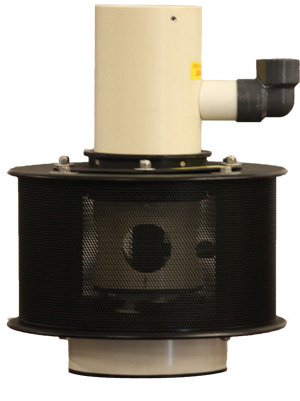 Combines an attachment coupling, a 45˚ elbow, a foot valve and strainer with ¼” diameter holes. Made of aluminum except for the bolts, rubber gaskets, and valve flapper; this valve is light in weight yet sturdy and efficient. These strainers fit on the end of suction hose to keep the pump from clogging with debris.